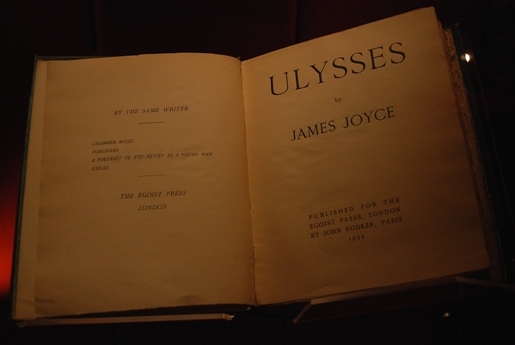 If the classic Irish novel Ulysses by James Joyce were being released today, there’s no doubt it’d be the center of a huge marketing blitz, all based around the date. “A DAY IN THE LIFE OF LEOPOLD BLOOM, COMING JUNE 16!” There’d be bookstore parties, signings, and any number of booze-ups and Bloomsday parties. Well, while James Joyce isn’t around to join in, people everywhere are celebrating Bloomsday today. What would James Joyce say? I mean, besides, “Pass me a drink.” Like most authors, I think he’d love that his books are still so important, so studied, and so controversial today. I mean, he practically invented the modernist novel. Besides, any excuse to have a big booze-up is a good one, and any reading of anyone’s book is definitely appreciated. Authors love attention. Well, except for Kafka. Wipe the mayo off it and crack open your copy of Ulysses today.